You Need A Dental Crown? If you have a large cavity, filling or broken tooth you may be needing a dental crown. A crown is essentially a cap or brace that is placed over a natural tooth to restore the shape of the tooth and provide coverage over the tooth. Dental Crowns can be made out different materials like porcelain or gold. The final crown is designed to ensure an accurate fit and precise bite with the opposing teeth. 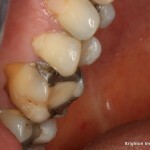 What steps are involved in crowning a natural tooth? Treatment plan and discussion about crowning procedure. Your dentist should discuss the options of treatment. If the tooth has a large restoration or large cavity then the tooth is susceptible to fracture during function. A fractured tooth is likely to become infected and lead to tooth loss. Your dentist will assess if the tooth will require a root treatment prior to the crowning procedure. In some cases it may be advantageous to root treat a tooth before crowning procedure. The reason for this is that the tooth preparation/reduction involved in crowning a natural tooth is harmful to the tooth. This reduction can lead to irreversible nerve damage within the pulp of the tooth. Once preparation/reduction , root treatment is complete then impressions are taken of the prepared tooth and sent to a dental laboratory for crown manufacture. It usually takes a dental laboratory about 1-2 weeks to make a dental crown. In some cases dental crowns can be made in a matter of hours using Cerec Technology. For more information you can click on this link. 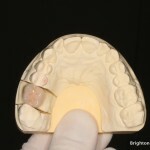 While crown is being made in the dental laboratory the tooth will require protection by means of a provisional crown. The prepared tooth can be sensitive to hot and cold if uncovered. 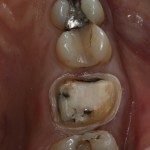 A provisional crown provides a tight seal for the tooth. Once the dental laboratory has completed making the crown it is tested in the mouth. The crown is carefully inspected for accuracy and precision of fit. For aesthetic satisfaction, it is important to make sure that the final crown has the right shade. 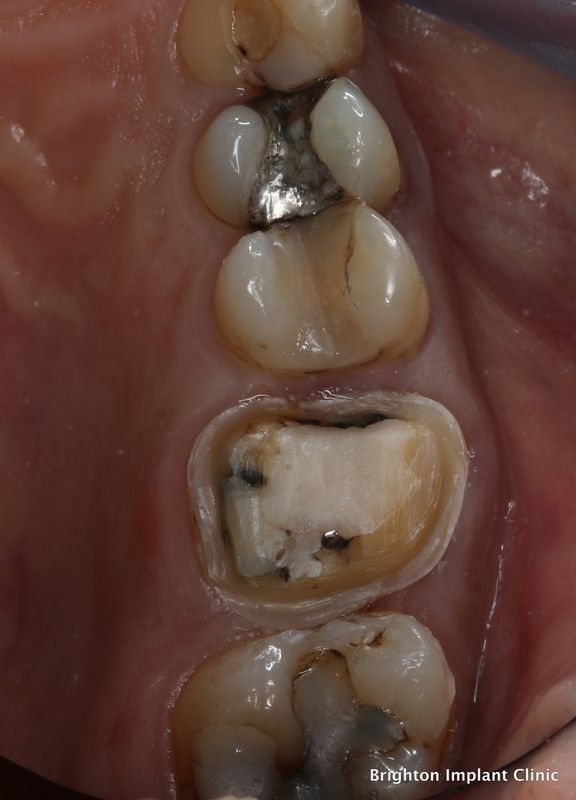 Cementing a crown on a natural tooth. 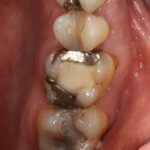 Cementation of the crown is the final step in completing the crown procedure. 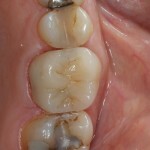 The main objective of cementation is to permanently position the dental crown onto the tooth while sealing the dentine. 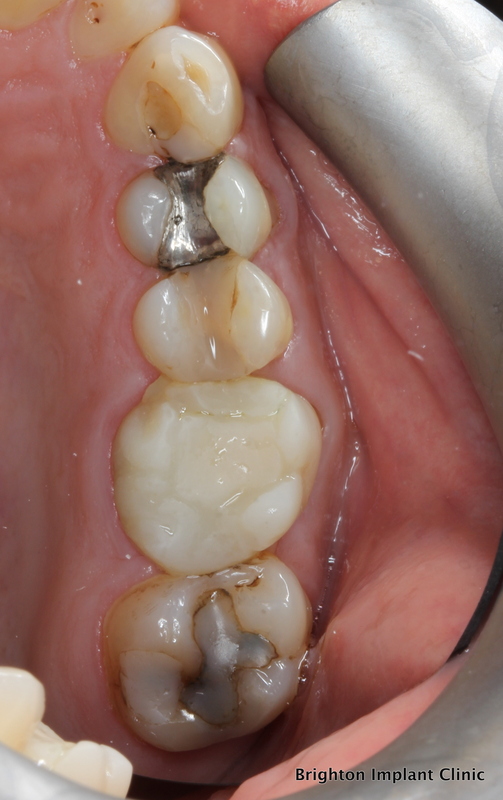 The cementation process starts with the crown’s trial fit with necessary adjustments. 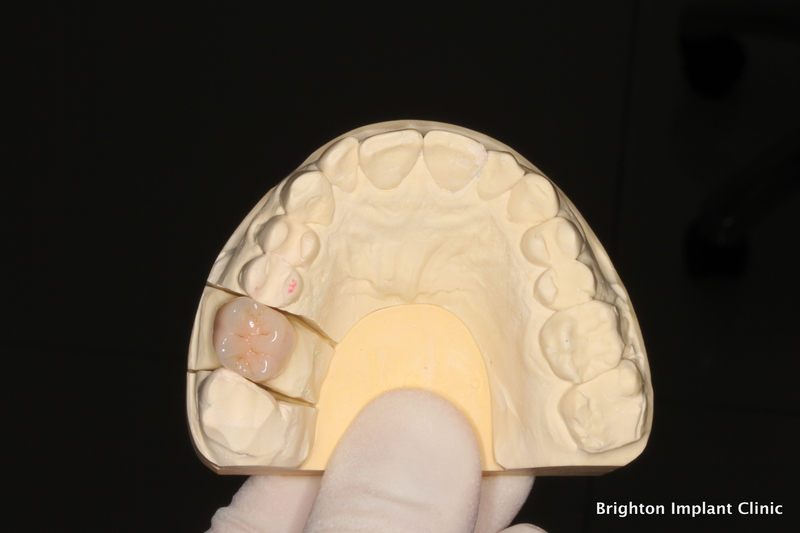 Minor adjustments will ensure that the crown is seating accurately on the tooth. 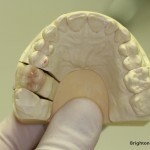 Some adjustments to adjacent teeth may be required to ensure that the new crown is fitting precisely between adjacent teeth. A close contact between the new crown and adjacent teeth is ideal to prevent food becoming trapped between the teeth during function. Before the appointment, the crown is tested on the working plaster model. If it satisfies all the requirements, the dental crown is disinfected before it is tried in the mouth. At this stage, the tooth shouldn’t have any symptoms of pain or sensitivity. If the patient experiences unusual discomfort, the dentist may consider delaying the final cementation process. The dentist should try to find the underlying cause so that the problem can be treated effectively. The dentist may also consider leaving the temporary crown for a longer period of time until the signs of discomfort subside. If the problem persists, the patient may need root canal treatment. Usually, teeth that have not had root canal treatment require local anaesthetic during the cementation procedure. 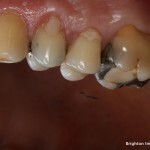 The next step involves removing the temporary crown while thoroughly cleaning the temporary cement fragments from the tooth. 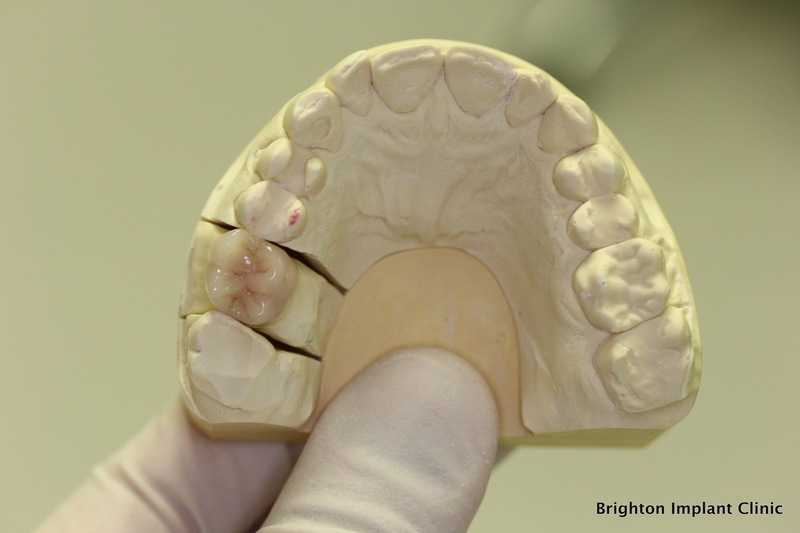 The dental crown margins should fit properly and the crown contour should complement the tooth contour. The dentist may perform certain adjustments in order to make sure that the crown is completely seated and properly fitted. Dental floss is typically used to examine the crown’s adjustment with respect to the neighbouring teeth. Ideally, the dentist looks for a definite “snap” as the floss passes through. There is a wide variety of dental cements available. Glass ionomer are cements which slowly release fluoride and help preserve the tooth underneath. Resin cements are also popular due to the high bond strength. The dentist will need to assess if the occlusion or bite is comfortable for the patient making sure that the new crown is touching lightly during function and while shifting the jaw in different positions. How long do crowns last ? A crown can last 15-20 years or even longer. The materials used to make crowns are strong and highly resistant to function, changes in temperature and trauma. 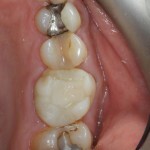 However in the majority of cases the crown will fail not due to the crown itself but due to the underlying tooth. 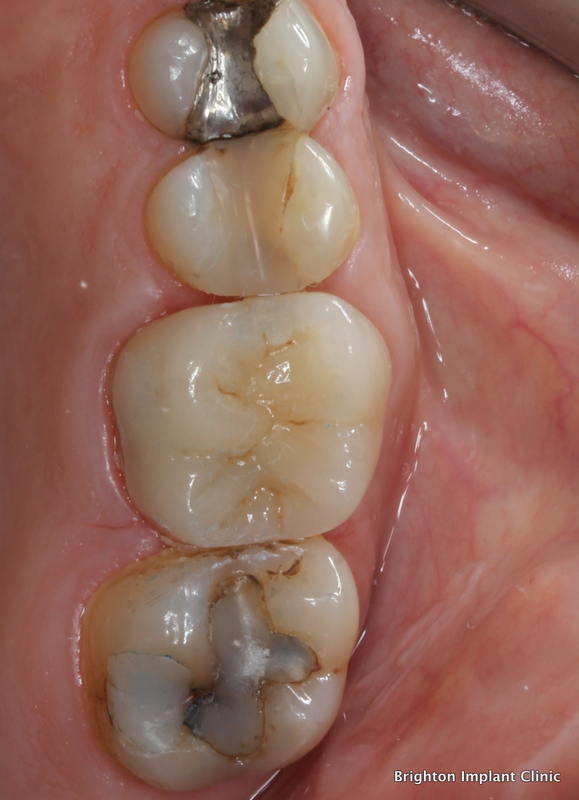 Secondary decay and gum disease are the most common causes of crown failure. In order to prolong the life of a crown it is important to always brush regularly minimum twice per day, use of a fluoride mouthwash will reduce the chances of secondary decay. Regular visits to your dentist and hygienist will help preserve your teeth. 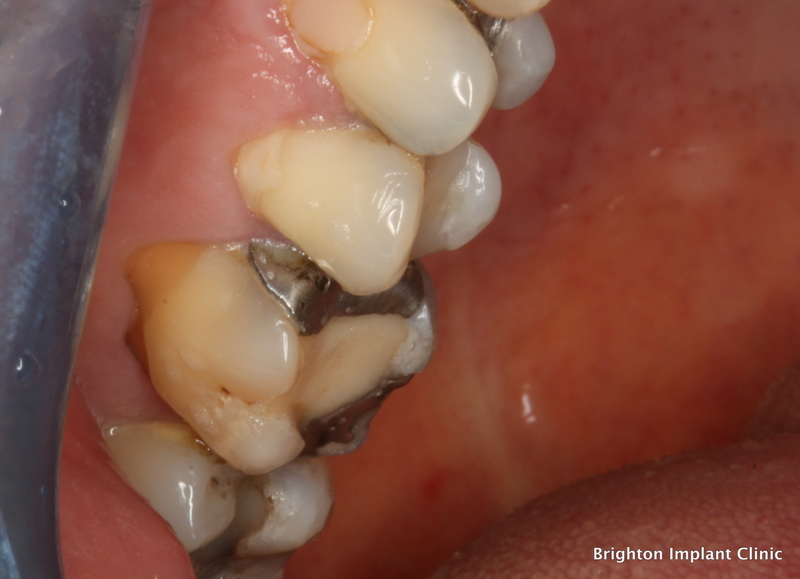 Early signs of decay may be detected at an early stage. 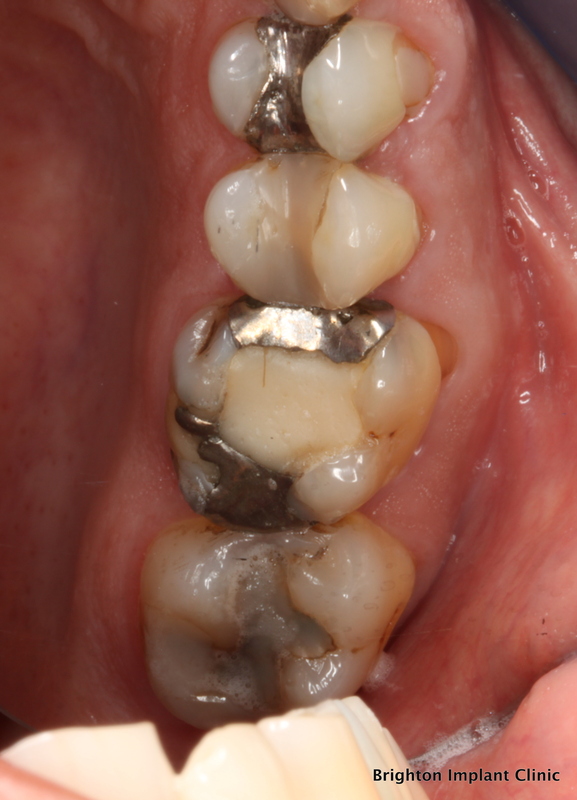 Treatment of small decay lesions is always simpler than deep decay lesions. It is recommended to visit a hygienist every 6 months for hygiene treatment to ensure the gums and teeth are clean and free from plaque and calculus. Brighton Implant Clinic is a small group of practices providing dental crowns, dental bridges and dental implants in Sussex. 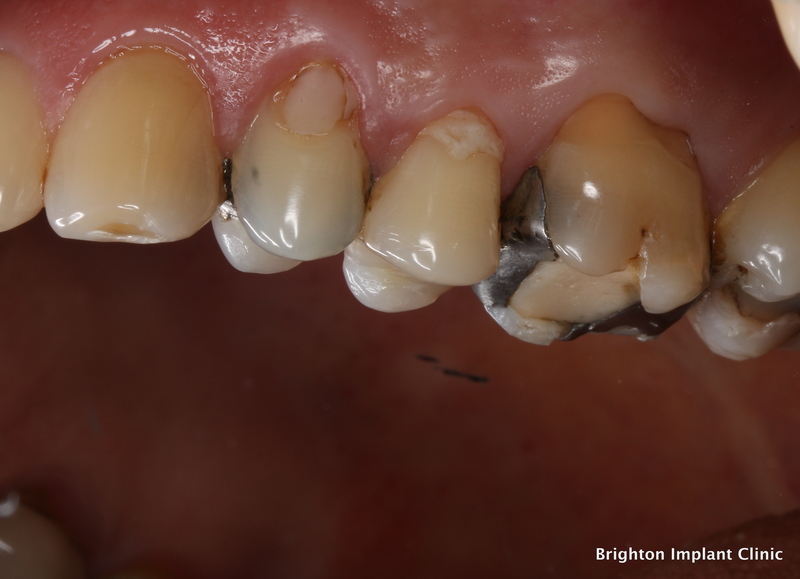 If you require further information please feel free to Contact Brighton Implant Clinic or call us on 0800 111 6623.